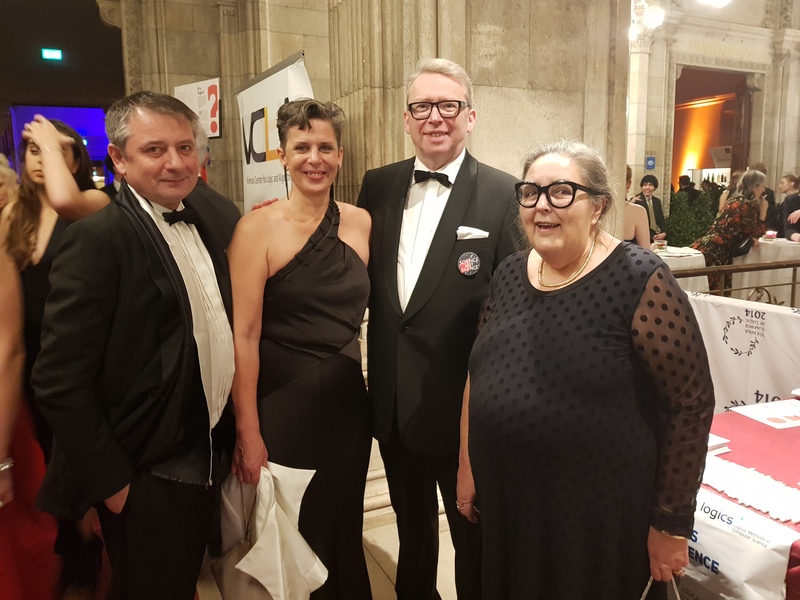 The new chairs of Vienna Center for Logic and Algorithms (VCLA), Agata Ciabattoni and Stefan Szeider, have once again partnered up with the Vienna Ball of Sciences, thus continuing the legacy of VCLA co-founder Helmut Veith, planting the seeds of logic outside the ivory towers of academia. 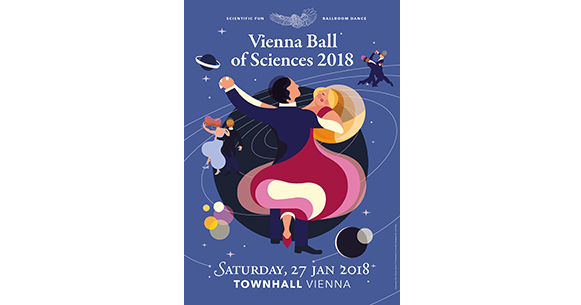 Vienna Ball of Sciences, took place on January 27, 2018 – starting at 8 pm in the splendid ball room of Vienna’s town hall. The Ball represents Vienna’s science and research community in its excellence and diversity. The uniqueness of the ball is its combination of the typical Viennese Ball´s elements and contributions from Vienna’s universities showcasing in a playfully classic atmosphere the outstanding research capabilities of the science hub of central Europe. VCLA excitedly presented the ball’s attendees with a logic puzzle, designed especially for the occasion by Maarten Löffler, University of Utrecht. The first attendees who solved the puzzle correctly received a technology which is able to create a uniquely blended interactive experiences. Cardboard glasses for virtual reality, to be used with any smarthphone with a display between 4 and 6 inches. Almost like opening the doors to the other dimension. Which one? The logic puzzle is to be found here. The awardees claimed the reward, a prize better than any magical philosopher’s stone: technology made by modern science at the Vienna Center for Logic and Algorithms (VCLA) booth between 8:30 and 1:00. For the ones who were not quick enough, VCLA handed out the 3D printed bowties for the gentlemens and bows for the ladies. 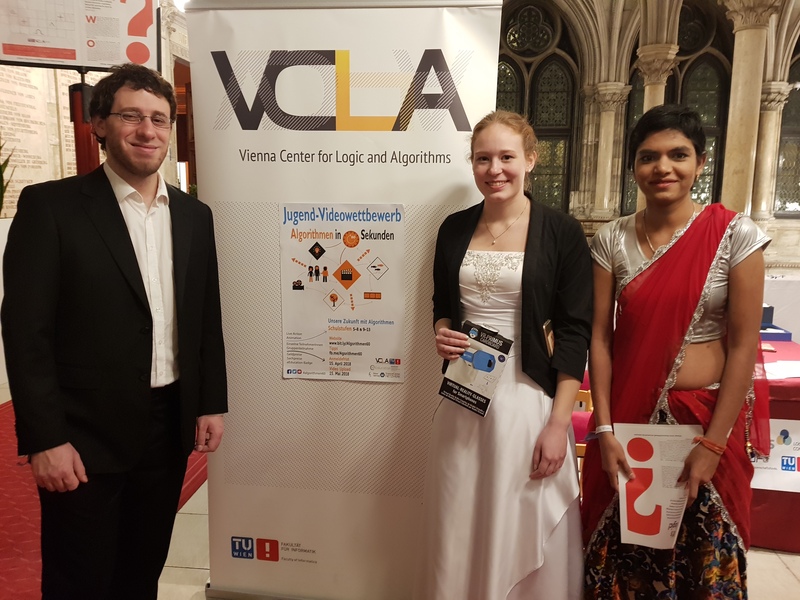 A special thanks going to Neha Lodha and Adrian Rebola-Pardo, the LogiCS PhD candidates, who were presenting the awards and spreaded the joy of logical thinking among atendees of the Vienna Ball of Sciences 2018. Some photos of the awardees and the LogiCS PhD candidates below. For more photos please visit VCLA Facebook site here. Adrian Rebola-Pardo, Awardee, Neha Lodha. At the VCLA booth you could meet and greet the current PhD candidates of LogiCS doctoral program (PhD), funded by the Austrian Science Fund FWF and run jointly by the three Austrian universities TU Wien (Vienna University of Technology), Graz University of Technology and Johannes Kepler University Linz. Read on Maartne Löffler´s puzzle-related research here. His website with even more puzzles for you to enjoy here. The VCLA riddle of alchemy to be found in the Ball Magazine here.